This season we are busting myths, and in this episode, we discuss the myth that mentoring is a one-way street. We talk with our guest Beronda Montgomery, Ph.D., about a cyanobacterium that changes shape in response to stress, and how mentors and trainees also need to change in response to their mutual needs during a research project. 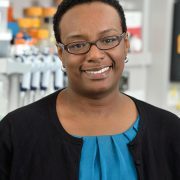 Beronda Montgomery is a Michigan State University (MSU) Foundation Professor in the Departments of Biochemistry & Molecular Biology – Microbiology & Molecular Genetics. She is also the Assistant Provost for Faculty Development at MSU. Beronda completed her Ph.D. at the University of California Davis and was a National Science Foundation-funded postdoctoral fellow at Indiana University. Dr. Montgomery also conducts scholarship and training initiatives on mentoring issues related to diversity, junior scientists, and faculty development. She has received many awards, including recently being elected a fellow of the American Academy of Microbiology. 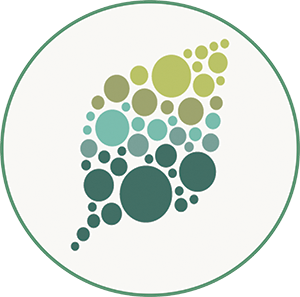 Beronda’s laboratory is broadly interested in how photosynthetic organisms, and specifically cyanobacteria, respond to light and nutrient availability. 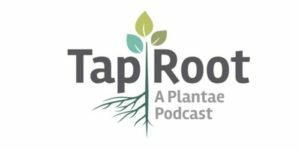 In this episode, we discuss one of her lab’s recent publications on the regulation of carboxysome structural proteins and the mentor/mentee dynamics that helped shape the direction of this research. We also talk about Beronda’s inspiring mentoring model and the similarities between plants and people(as well as the differences). Rohnke, B. A., Singh, S. P., Pattanaik, B., & Montgomery, B. L. (2018). RcaE-Dependent Regulation of Carboxysome Structural Proteins Has a Central Role in Environmental Determination of Carboxysome Morphology and Abundance in Fremyella diplosiphon. mSphere, 3(1), e00617-17. Montgomery, B. L. (2017). Mapping a Mentoring Roadmap and Developing a Supportive Network for Strategic Career Advancement. SAGE Open, 7(2), 2158244017710288.